Last edited by malignant; 07-31-2005 at 07:17 PM. Last edited by zkarlette; 08-01-2005 at 03:37 PM. I bought an EyeToy for some reason. The only games that I have that can use it are DDR Extreme and THUG2. I'm a sucker for gimicky video game stuff. Picked up Dead or Alive Xtreme Beach Volleyball for $18. This is like, the best game ever. Seriously. Volleyball is so great, and the girls, man. The f'n girls. Ah yes, DOA Xtreme Beach Volleyball, the game you can play with one hand. Bet your controller is getting rather sticky by now. With all the hype about Xmens legends 2..thought i'd give it a try since i plan to buy 2. I also picked up Xmen Legends the other day. Not entirely sure why but it's only $20 now so I figured I'd give it a chance. Also picked up Spiderman 2. Picked up Tales of Symphonia and Killer 7 (Gamecube). Both are pretty beast. Barkworm, I don't know what you're talking about with ToS. I just think you're stupid. Seriously, I think my main beef with the game was the battle system. Random encounters and real time battles don't fit IMO, at least not in the way they did it in ToS. I also thought the storytelling sucked pretty hard. Don't worry Barkworm, you're not alone. I tried very hard to like ToS but I could never stand to play for more than five minutes. I'm glad Ai enjoys it though. As long as we don't have any flame wars and can respect opinions, it's all good in the hood. And I can also see where you're coming from with the action RPG fighting format. It can be weird at times, but I'm more used to it because I'm a fan of the Star Ocean series. And wasn't Legend of Mana like that, too? I forget. Legend of Mana was a tad more like Zelda: Link to the Past in that respect, because it didn't make a transition between the overworld and battles like RPG's tend to. But yeah, I get your point. Man, I just got Double Dragon for my Game Boy. I feel kinda bad about it cuz I spent 10 bucks, which is my absolute max on a video game, but I'll soon see if it was worth it. You absoulte price is $10???? No offense, but that seems a tad rediculious. Not even GBA games are $10. Yeah, I don't have GBA. All I have is NES, Super NES, Genesis and Game Boy. So... I think that justifies the amount I'm willing to pay. That and I don't play all that often. Ah cool, retro gamer. Makes sense then. Now i'm looking for DOA 3. 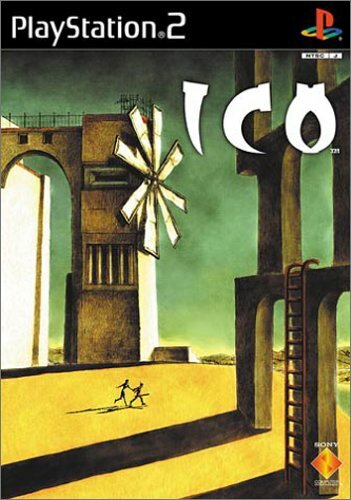 I finally got my hands on a sealed copy of ICO. The cover art alone makes it worth it. I always thought it was a crime what Sony USA did to the cover art. It's kinda similar to what was done to the covers of the RE games.